New proposals suggested by the CPRIT Oversight Committee strike out large swaths of the cancer-fighting agency’s ability to fund cancer research in Texas. More details continue to surface in the wake of the 29-page set of sweeping reforms suggested by the CPRIT Oversight Committee, which published its proposals last Friday afternoon. 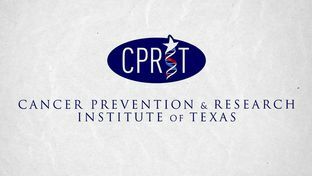 In addition to proposing to strip out the organization’s commercialization arm, effectively replacing it with oversight and compliance officers, the proposal also seeks to substantially narrow CPRIT’s ability to fund Texas cancer research as well. When comparing what has been proposed to be cut and what remains in these designations, the decisions appear to be closely aligned with the compliance-oriented nature of the proposals, as well as a palpable attempt to limit the flexibility that CPRIT will have to move quickly and decisively to capture new biotech talent and bring private investment into the state. For example, the Oversight Committee’s willingness to cut “Short-term, high-impact programs” and “[(2) Individual investigator awards;]” would appear to be an attempt to avoid the appearance of fast-tracked grant approvals. If this is the case, however, it would also curtail investments in both smaller and high-impact research investments as well. Also particularly interesting is that “[(4) Recruitment to the state of new, emerging, and established investigators;]” has been struck from CPRIT’s investment into research grants, given interim CPRIT Chief Wayne Roberts’ recent high-pofile request to have several important recruitment contracts left in limbo by the funding freeze fast-tracked. As more and more biotech professionals process these proposed changes, it appears increasingly likely that legislators will seek to dramatically reduce the size and scope of CPRIT’s ability to fund research and supporting private organizations in Texas moving forward. Please continue to follow our complete coverage of the CPRIT story, as we will be reporting on these new proposals throughout the week. Be sure to subscribe to BioNews Texas and get notified via e-mail of every new article as they are published.